A corkscrew design adds interest to the sleek, white Spirale essential oil diffuser, which can last up to 6 continuous hours using under 5 ounces of water. 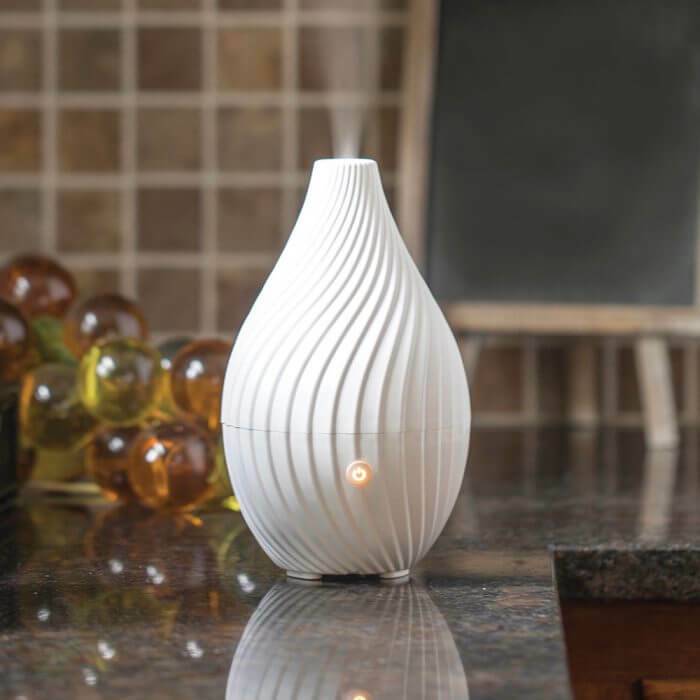 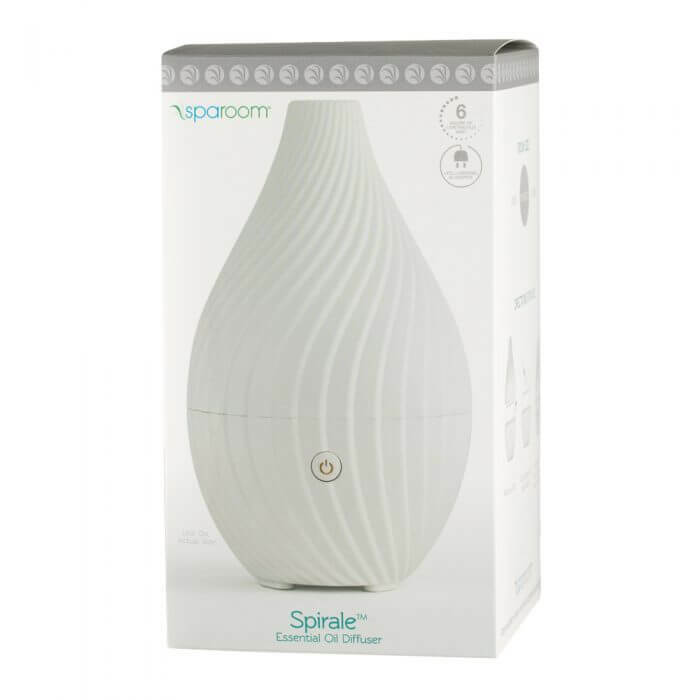 Lasting up to 6 hours, this diffuser has a soft white light that combines with the aromatic mist to create a relaxing, calming environment. 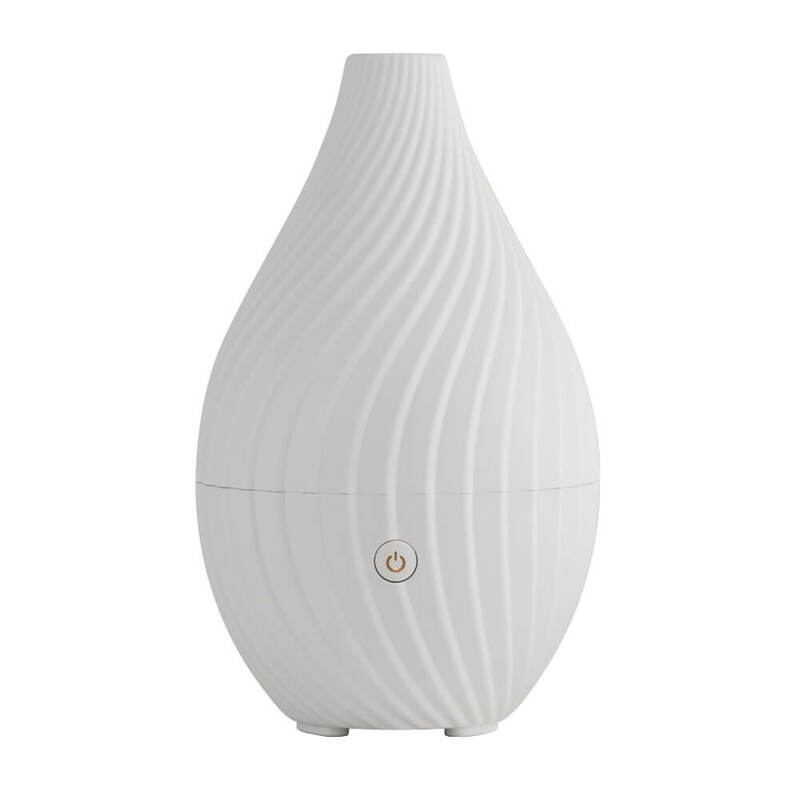 Lasting up to 6 hours, this diffuser has a soft white light that combine with the aromatic mist to create a relaxing, calming environemnt.